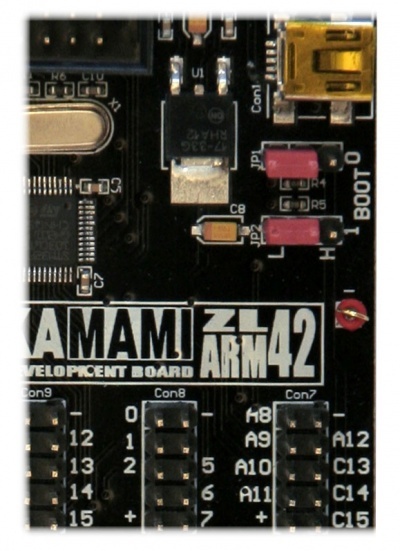 ZL42ARM is a universal 32-bits minicomputer with microcontroller STM32F103 (Cortex-M3) with integrated prototype area. Equipment of the board is maximum simple - all GPIO lines are available on goldpin connectors (2.54mm). 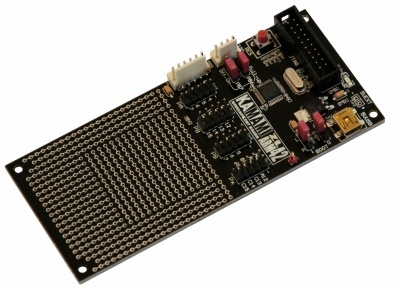 On board are also used convenient SPI and I2C connectors. 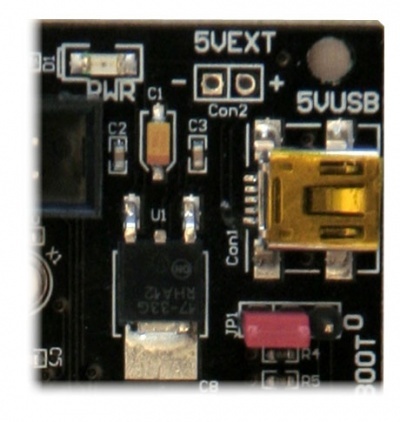 Board should be supply with 5V power supply source via miniUSB or via optional mounting goldpin connector marked as 5VEXT. Connect of power supply to the board via one of listed connectors turns on PWR LED on the board. 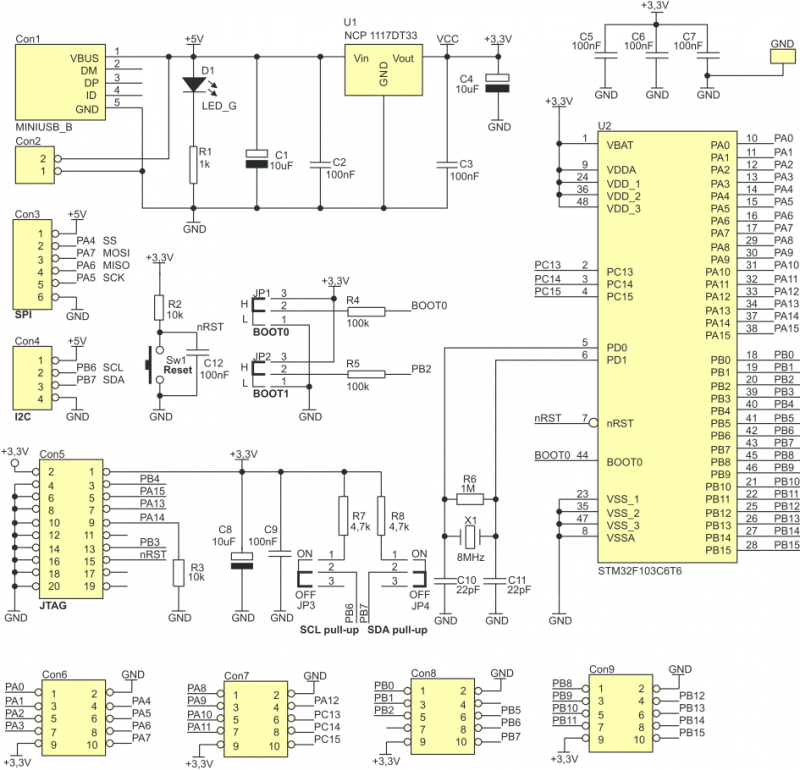 ZL42ARM board is equipped with BOOT0 and BOOT1 jumpers (JP1 and JP2) that make possible selection of memory for boot process of microcontroller (Table 1). 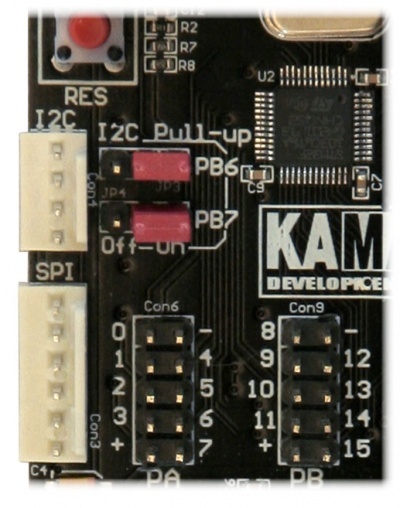 ZL42ARM board is equipped with JP3 and JP4 that allow to connect to SDA and SCL lines of I2C bus via pull-up resistors to power supply voltage +3.3V (Table 2).